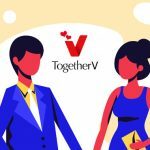 Celebrate this Valentine’s Day the TogetherV way! 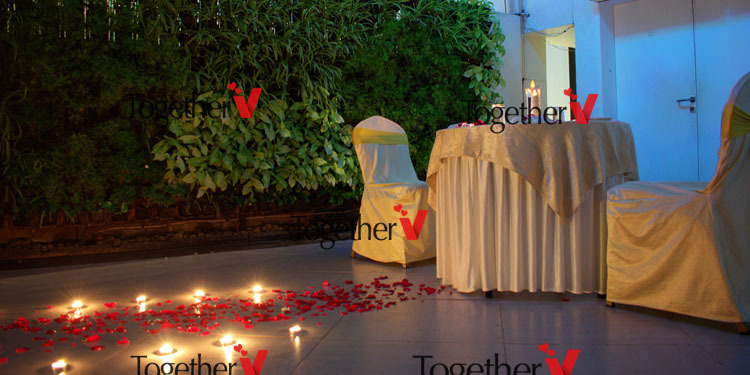 TogetherV brings in its exclusive candlelight dinner services to Mumbai for Millennial who want to live life to the fullest. 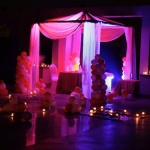 We bring you selective and classy candlelight dinner services at some of the beautiful properties in Mumbai. 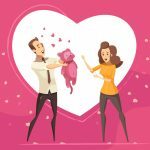 Surprise her this Valentine the very way you wanted and the very way she expected. 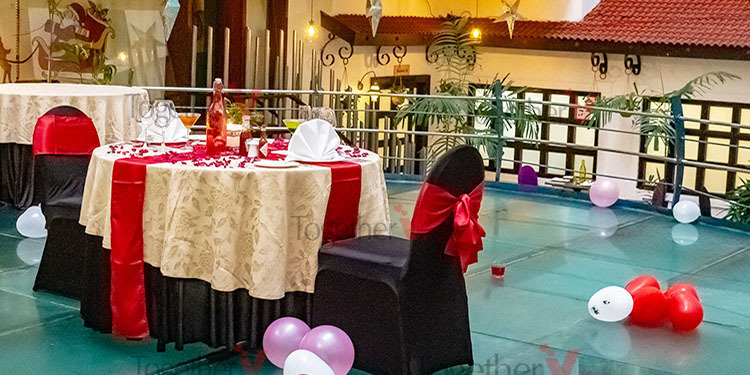 Ditch the ever-crowded places this Valentine and spend some quiet time over a candlelight dinner at a private space.Space will be tastefully decorated with flowers, candles and shiny balloons to build up an ambience apposite for people genuinely in love. There won’t be distractions, there won’t be disturbances, but only whispers from the love-soaked hearts. Get overboard this Valentine. Experience love like never before. Relish scrumptious meal over a royal candlelight dinner and then spend a night in a classify decorated room. No doubt, she would be pleasantly surprised and flattered at your choice. Snuggle up in the beautiful love nest for the entire night and wake up to a fresh start. 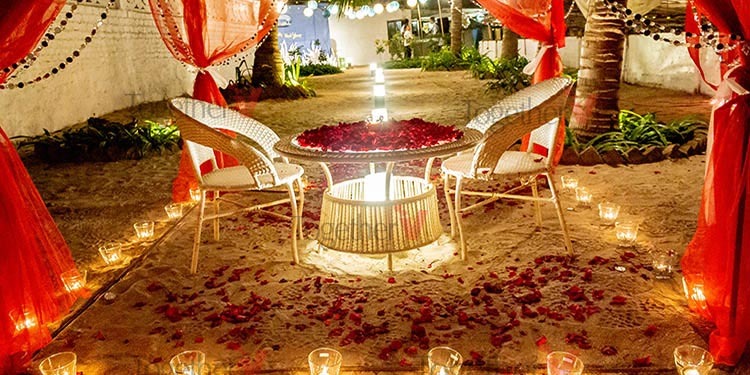 Beach Side Cabana is exclusively done for special people like you who value love in their life more than anything else. A magical vista unfolds once you reach the venue. Spend the rest of your time exploring the unexplored part of your beloved’s heart by an indulgent love chit chat. Enjoy scrumptious 3-course served smartly on your table by your very own private butler who will be available to overlook at all your dining needs. If you and your girlfriend are a movie buff then this experience is definitely made for you both. What could get better than watching a romantic movie and relishing a mouthwatering delicacy at a private set up with no moving shadows or distractions? Get cushy-mushy, up close with each at this fantastic experience. 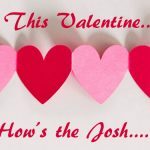 Give him a pleasant surprise when he returns home after a hard day work this Valentine. 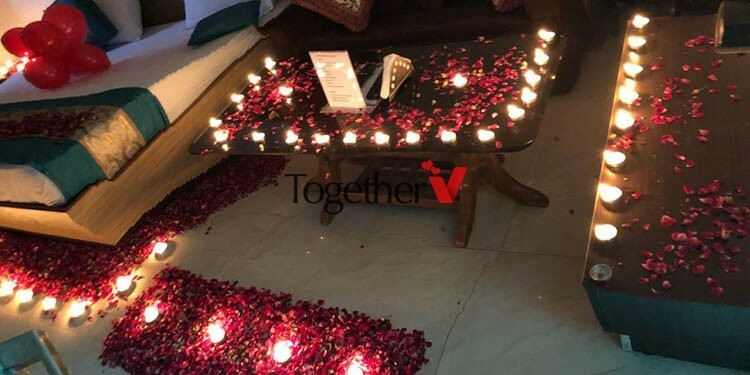 Get your home aesthetically and elegantly decorated with flowers, balloons, photos and candles.You can also choose other décor themes as per your taste and desire.You can even get your room done with flowers, candles and balloons as a perfect room décor is as good as a romantic outing. 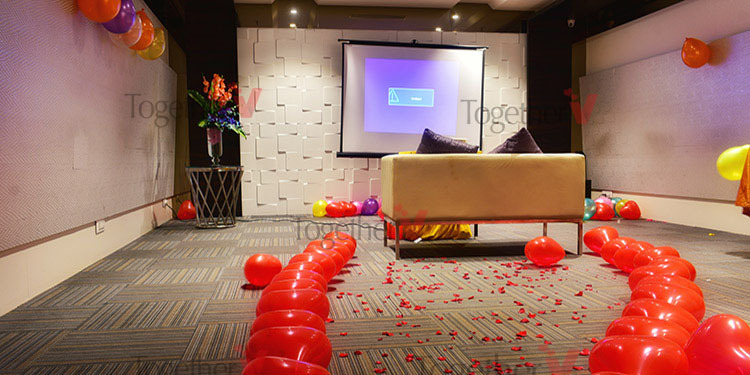 The curators at TogetherV are all geared up to make this year Valentine a great and memorable date for you! 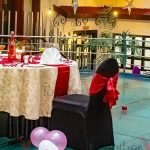 All you have to do is to get in touch with us and we make sure you’ll have the time of your life this Valentine.